“I want to say it was a gory site. I saw human lives charred like rats. This is due to the negligence of PPMC and DPR. We have lost premium on human lives"
Concerned by the loss of 150 lives recorded at the Abia pipeline explsion, the Senate on Wednesday ordered an investigation into the incident. 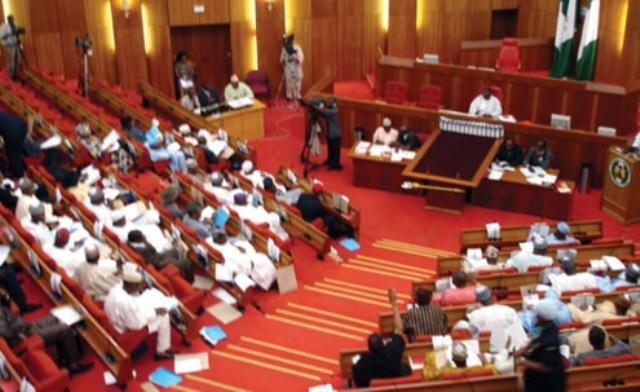 The matter was raised on the floor of the Senate by Senator Theodore Orji. Citing order 42 & 52, Orji said the explosion in Abia State was due to the negligence of duty by Nigerian National Petroleum Corporation staff. According to Senate proceedings, that was shared on the Twitter handle of the Senate, @NGRSenate, he said that the villagers had gone to scoop oil from the leakage as a means of livelihood when the explosion occurred. Senator Mao Ohuabunwa indicted another government agency, the Pipelines and Product Marketing Company. In response, the Senate President, Bukola Saraki said, “As we go into the prayers to look into how we can truly come up with resolutions, we need to show that lives do matter in this country and make this a very good example of that, I say this to those committees we have referred this to, because from the presentations and those who have contributed, this is just clear negligence on the part of those who are responsible and could have prevented the loss of lives of 150 people who have died.